Not everyone wants to spend $700 for the fanciest smartphone on the market. What’s more, people simply don’t need to spend that much. You can get a high-quality budget smartphone for less than $300, and you can even tailor your search to match specific preferences—preferences like camera quality, battery life, and design. Lucky for you, we’ve done the research. 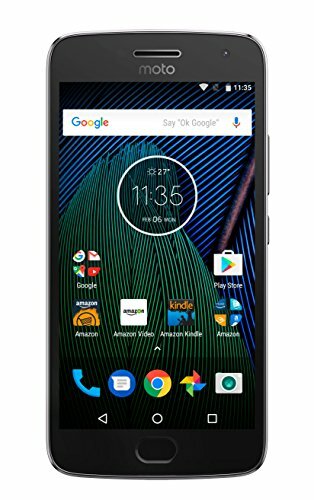 Here’s a list of the best affordable smartphones that can be found for less $300. When you pair great hardware and affordable pricing, you get a smartphone worth talking about. 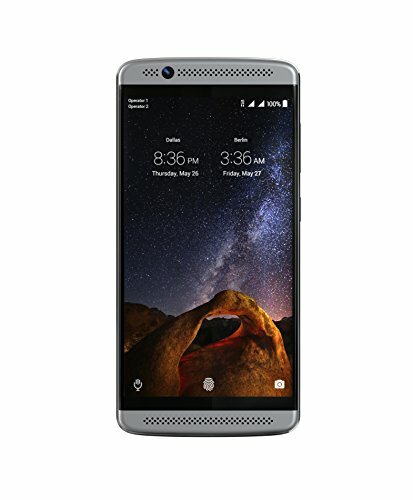 The ZTE Axon 7 Mini, the follow-up to the Axon 7, is a supremely capable device with a 5.2” display (1920 x 1080 pixels), a 1.5GHz Snapdragon 617 processor and 3GB of RAM. Suffice to say, there’s more than enough power under the hood with this smartphone. The hi-fidelity speaker offers superb audio quality, and the sleek and slim aluminum unibody design is excellent. The bezels feel ergonomic and comfortable in the hand and have an easy-to-reach fingerprint sensor. Inside, you’ll find 32GB of memory, a microSD slot for cards up to 128GB in size and LTE network connectivity that supports all four major U.S. carriers. The 16-megapixel camera features max video resolution of 1080p alongside a suite of brightness and exposure tools to capture the perfect shot. The battery is said to deliver 15 hours of talk time, plus support for Qualcomm Quick Charge 2.0, which offers a 50 percent charge in just 30 minutes. Between the premium-feeling hardware and affordable price, the Axon 7 Mini easily earns the top spot. Honor is an off-shoot of the parent company, Huawei, which has become a major contender in the smartphone market. And its 5X device is one of the best budget phones you can buy. The 5.5-inch phone is made of aluminum alloy with a brushed metal back, where you’ll also find the fingerprint scanner. One of our favorite features of the 5X is that you can program different fingers to launch different apps. And while the phone itself looks good, its light weight gives it away as a budget phone. This dual-SIM smartphone has slots for microSD, microSIM, and nanoSIM, allowing up to 128GB of expandable storage space, which might come in handy if you want to supplement its 16GB internal storage. Another option is to learn how to optimize smartphone storage to use your phone to its maximum potential. Inside, it runs a Qualcomm 64-bit Octa-Core Processor and Android 5.1, making it sufficiently fast to run all your favorite mobile games. It’s fully compatible with AT&T and T-Mobile, but unfortunately, you’re out of luck if you have another carrier. Okay, so you want a Samsung phone, but you don’t want to drop $600+ on it, right? The Galaxy S line gets all the press and all the hype, and for good reason – those phones are powerhouses. But the much more affordable J7 line gives you a lot of bang for your buck if you still want that top-notch brand on your phone. Let’s take a look at what this thing has to offer. For starters, it’s pretty powerful, thanks to an Octa-core, 1.6 GHz processor and 2GB of RAM. That’s enough to power the latest generation of Android, so it won’t feel like a budget phone. The 5.5-inch display offers HD 1280 x 720 Super AMOLED levels, and it gives you that at a cinema-friendly aspect ratio of 16:9 – great for watching flicks on your phone. The rear camera isn’t really much to write home about at 8 MP, but the front-facing camera can go toe-to-toe with the more premium Galaxy releases at 5MP. There’s 16GB of internal storage, which is pretty limited compared to the other flagship models, but you can thankfully expand that storage via microSD, which is a standard value-add for a lot of Androids. It’s Bluetooth enabled, and at only six ounces, it’s a pretty light little phone for the premium features it packs in. The build quality, while not as premium-feeling as the flagship phones, fits nicely in your hand, and will look, to the untrained eye, like some of the previous Galaxy generations. 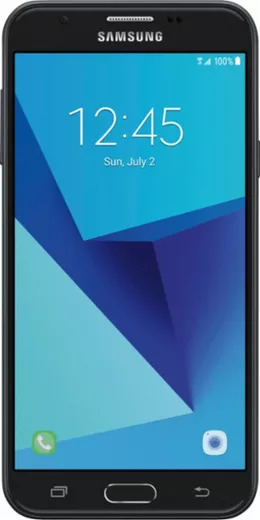 All in all, this phone is an absolute steal with the Samsung name. Still can’t decide on what you want? Our round-up of the best Samsung phones can help you find what you’re looking for. The Nokia 3.1 is a strong newcomer to the budget smartphone leagues. Though some cuts were made so it could be more affordable, like eliminating the finger sensor, the phone has a grippy flat plastic back and curved glass on the front that lends it an air of sophistication. Its 2990mAh battery capacity is deceiving: the phone can hold a charge for the entire day despite its relatively small size. The screen is surprisingly high-quality — the 5.2-inch 18:9 display has 1440×720 resolution — and it runs Android 1 software free from any bloatware that would slow it down, so it should receive updates quickly. Headphone users will be happy that the phone includes a headphone jack. Keep in mind that the octa-core Mediatek MT 6750 processor does not offer the best performance, and while a strong choice at its price point, the phone does suffer from sluggishness and only has 2GB of RAM, which can make multitasking difficult. However, MicroSD support for up to 128GB cards is available. 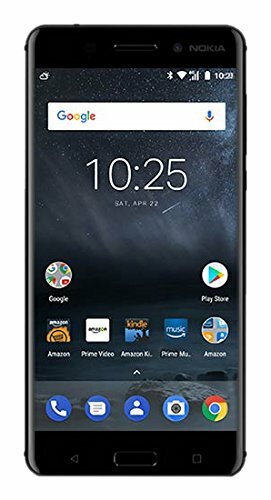 With a fast 4G LTE speed, a 16 MP camera and gorgeous 5.5” full HD display, this unlocked Nokia phone is an excellent value. Unlike other budget electronics, this phone isn’t going to break down right after you buy it. It is built with 6000 series anodized aluminum with bright diamond-cut edges and an attractive polish. It has a full HD IPS laminated display with up to 85 percent color reproduction, displaying kaleidoscopic images and video. And watching movies is a treat, thanks to loud sound and deep bass from dual Dolby Atmos speakers with a 7.2W peak output. The Amazon exclusive gives you a connection to the media and organizational Amazon app suite. Save up to 32GB of files and browse the best of Android with Android 7.1 Nougat. To get the biggest bang for your buck, you can learn how to use an Android phone and all of its features, which differ from an iPhone’s features. 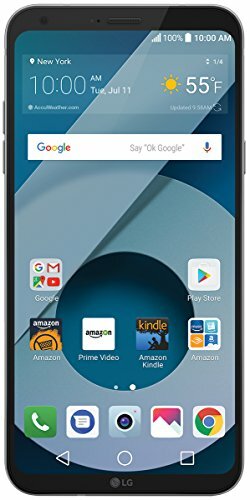 If you’re in the market for a quality budget phone, then check out the LG Q6. 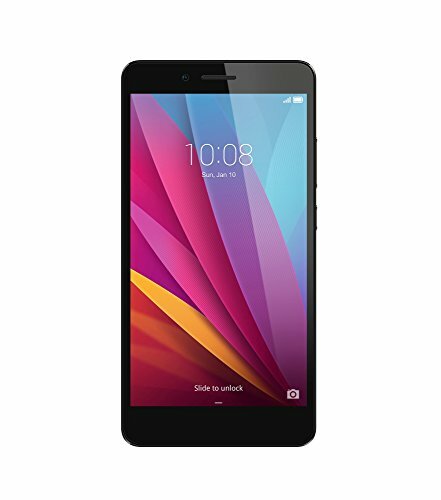 By many measures, it’s basically a top-of-the-line phone without the top-of-the-line price. LG’s Full Vision tech powers a 5.5-inch, beautiful QHD+ IPS display that provides you with an 18:9 aspect ratio. The rear camera offers auto and manual focuses and does it with a pretty impressive resolution of 13MP. The front-facing camera gives you 5MP with a wide angle lens, selfie lighting, and an automatic mode. They’ve even thrown in some flashy software aspects to the camera such as GIF mode and food mode. The hard metal sides have earned this thing a military-grade rating, having passed a dozen standardized tests in durability. 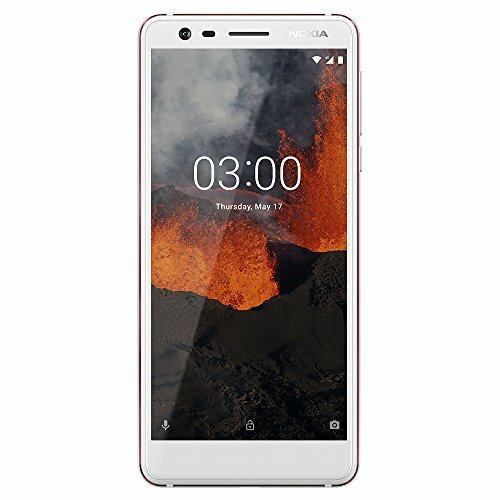 It’s shipped with Android 7.1, powered by a Qualcomm Snapdragon 435, 1.4 GHz octa-core processor alongside 3GB of RAM and 32GB of internal storage (specs that you’ll definitely find in the top phones out there). You can even expand the storage up to 2TB with an SD card slot. Add that to premium features such as face unlock and the Knock On tap-to-unlock function, and this thing feels a heck of a lot more like a $500 phone, rather than a sub-$300 one. But, to sweeten the pot, even more, Amazon is offering a ridiculous deal, slicing that price almost in half if you include its normally Kindle-only feature of adding special offers at the lock screen. Need some more help finding what you’re looking for? Read through our best LG phones article. The latest Moto G phone packs an all-day battery that can charge six hours of use time in just 15 minutes. The battery life comes courtesy of the hard-working Snapdragon 625 CPU that runs efficiently without wasting unnecessary battery life. The IPS screen provides nice HD visuals without the extra battery draining and GPU usage of QHD phones, giving you a longer lasting device than even some top models. The 2.0GHz octa-core processor and 2GB of RAM give you nice performance, while a 12MP camera takes fun pictures. The camera is bolstered by Dual Autofocus pixels, giving 10x more pixels on the sensor for 60 percent faster autofocus, the first camera in the budget class to have this feature. The next generation budget phone from telecom giant Huawei has an impressive camera that far outperforms its budget price. 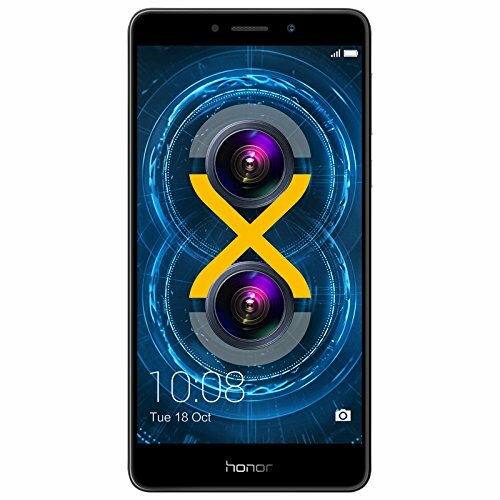 The 12MP primary camera on the Huawei Honor 6X captures vivid HD photos in both daylight and lowlight conditions, and an ultra-fast focus time of .3 seconds makes sure you capture the shot right when the moment strikes. The camera has a wide aperture range that allows for a high-grade depth of field, and the wide range gives blurred background, allowing for more creativity. The professional framing complements cutting-edge color quality and noise reduction thanks to DTI Pixel-isolation technology. The phone also has an alluring ergonomic look and feel, thanks to a slim 8.2mm body made from a frosted material, as well as a 2.5D curved glass with premium texture design. It runs on an octa-core processor(16nm) and has 3GB RAM, while a third generation fingerprint scanner gives responsive touch technology that can unlock the phone in .3 seconds. Finally, photographers will love the camera’s high-density battery, which lasts over two days on a full charge and can take plenty of photos. Want to take a look at some other options? See our guide to the best Huawei phones. The Sony XA1 rear camera offers a mind-blowing 23MP of resolution, which rivals even mid-tier DSLR cameras out there. The F2.0 lens and the low light function give you an unparalleled performance for a smartphone, from a photo perspective. The display is five inches, and they’ve designed it with virtually no bezels to give users that ultra modern, borderless look. This model comes with 16GB of internal memory, but you can pack in up to 256GB more with the SD card slot, and Sony has even packed in a smart clean function that offers to remove bloatware and frequently unused apps to optimize your space and speed. They’ve put in a MediaTek Helio P20 Octa-Core 64 bit processor that will clock 2.4 GHz of speed and paired that with a high-capacity 2,300 mAh battery. It’s compatible with the latest Android, but Sony has also loaded in some cool software features like the ability to learn your preferences as you use your phone and optimize its functionality as you go. It’s a great option for those who want a high-end phone, a higher-end camera, and a budget-end price. 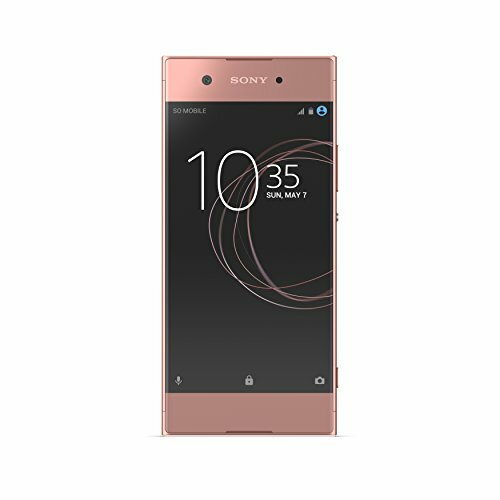 Read more reviews of the best Sony phones available to purchase online.